intelligent decisions, safer conditions, increase efficiencies and greater profits. Join us in Houston Texas on October 23-25 for our global user group meeting. Keep your pipeline owner, terminal operator and chief financial officer aware of changing conditions with real-time, systems-level integration across the operational and commercial processes. Our automation and software applications combine your business and operational strategies into one allowing you to gain sharper insight and control of your data – leading to more intelligent decisions, safer conditions, increase efficiencies and greater profits. Our pipeline management product portfolio works across both liquids and gas pipelines and contains features such as pipeline design, analysis, training. offline and online simulation. Our terminal management product portfolio addresses terminal operations from field to enterprise for commercial and operational activities. We are the only single source supplier that delivers configurable solutions and increases the efficiency of each aspect of your operation. 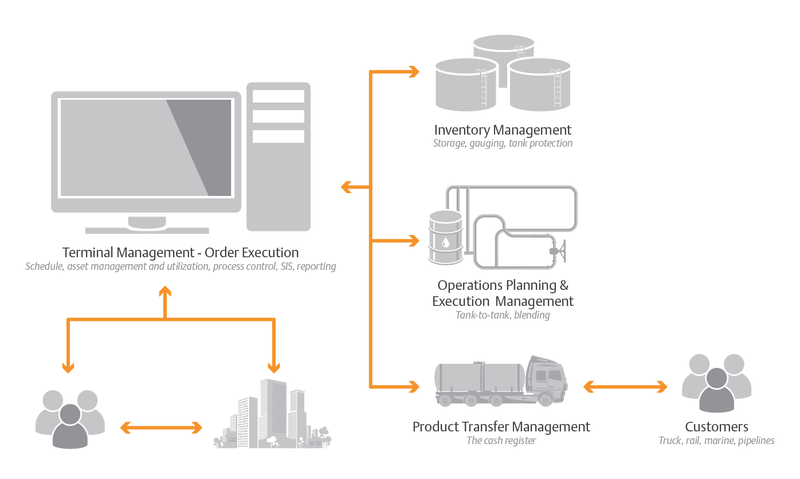 The liquids management product portfolio allows you transport and store more while using the same assets, unlock more value from your supply chain and grow your business by attracting more customers and increasing your profits.